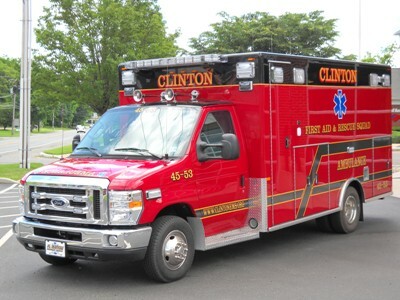 The Clinton First Aid and Rescue Squad is a non-profit volunteer department that provides Emergency Medical and Rescue services. 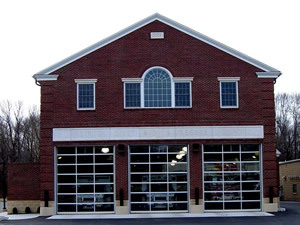 The Rescue Squad went into service on August 1, 1968 with our headquarters at the old Grandin Library building (the old Clinton Firehouse) on East Main Street. 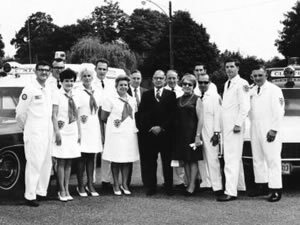 Our two ambulances were a 1953 Ford purchased from the Manville Rescue Squad for $1.00 (and eventually sold back to them for the same $1.00 bill), and a 1955 Cadillac donated to us by the Blairstown Rescue Squad (we later gave it to the Hampton Squad). The membership roster was small, but we only answered 260 calls in our first full year of service. 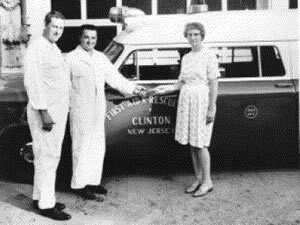 Dispatching services were provided through Clinton Farms, who donated the 24 hour services of a telephone operator until we switched to the county-wide Hunterdon Communications Center system in 1976. 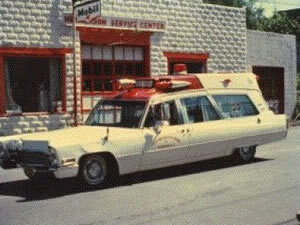 The two original ambulances were replaced by two 1968 Cadillac ambulances. One was purchased in 1969 for $10,000 and the other was purchased in 1970. We also had a 1947 Chevrolet rescue truck (a converted fire truck). 1970 saw us grown to 25 members with a newly-formed Cadet Unit that is still in operation today. 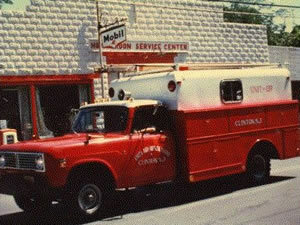 In July of 1971, we ordered a new International Harvester all wheel drive Rescue Truck for $8,000. It was delivered in the fall of that year, and stayed in service until replaced by a 1987 Ford Rescue Truck (priced at $138,000) went into service. That unit stayed in service until replaced by a 2004 Pierce Quantum Rescue Truck, and was sold to the Tewksbury Rescue Squad. We dedicated our old headquarters on Old Highway 22 and a new $12,000 Dodge van ambulance (to replace one of the 1968 Cadillac ambulances) on the same day. 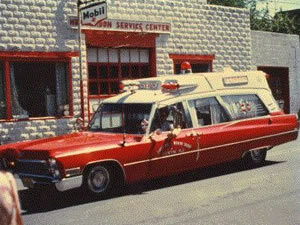 The other 1968 Cadillac ambulance was later replaced by a 1977 Chevrolet modular. Today we reside in our new headquarters, on the same lot, completed in 2004. Our training was expanded to include the New Jersey Emergency Medical Technician (EMT) curriculum in July of 1977. Some members trained as EMTs, some continued in the New Jersey State First Aid Council 5 Point Curriculum, and some held both certifications. EMT later replaced the 5 Point program and remains our current standard of training, but has been much expanded since then. We can now provide early defibrillation for victims of a cardiac arrest, thanks to automatic defibrillators and related training. 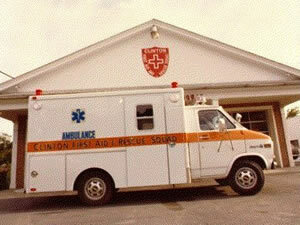 The Clinton First Aid and Rescue Squad marked its 35th year of service to the community in 2003. In 2012 we held our first now annual Junior EMS Competition, open teams from 4 different counties, and joined the NJ EMS Task Force, a specialized response management program here in New Jersey. 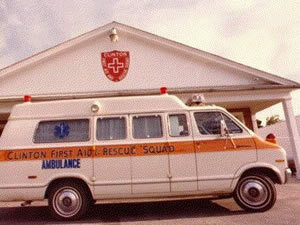 Today, approaching its 50th year of service, the Clinton First Aid and Rescue Squad has experienced tremendous growth in response area population and in the number of calls for our services. We have five ambulances, a heavy rescue truck, a water rescue support truck, a supervisors unit, a support unit, 4 rescue boats, a REHAB Medical Support truck, an off-road all terrain ambulance, a Incident Support trailer and a technical rescue trailer. 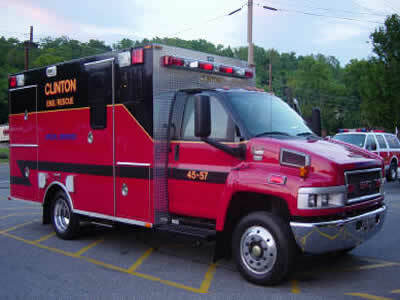 In spite of all the growth and changes, the Clinton First Aid and Rescue Squad continues to pursue its primary mission. We remain dedicated to providing high quality professional Emergency Medical Care for the sick and injured.